I think it’s a planner’s ad… a half decent strapline (maybe SHREDDIE FOR ANYTHING would have been stronger, with lots of simple high energy or otherwise draining activities in the visuals) then encumbered with a convoluted brief. By the time the media’s bought and everything has been ticked off the brief checklist, no-one sits back and thinks – are they a good ad? Are they a poster people will ‘get’ or even like? The fact is that the creative director should have binned these, or the client should have faced down McCanns. I’m guessing the ‘design a horse’ brief became so strangled and fatigued that no-one saw it becoming a camel when it went to print. Or no-one cared. And surely these posters could just have been ‘Dropping the kids off at school a day early?’ with the strapline? Rather than the car crash of art direction and copywriting that made it through. Style, and planning, over function. ‘Shreddie for anything’ is indeed much better. Still got it, Dom! I think ‘Shreddie or not’ is a nice line, but assuming the allusion is to the expression ‘ready or not’, the copy doesn’t follow through on it. If I took the kids to school a day *late*, I would not have been ready/Shreddie. Taking them a day early seems to speak to over-readiness, if anything. 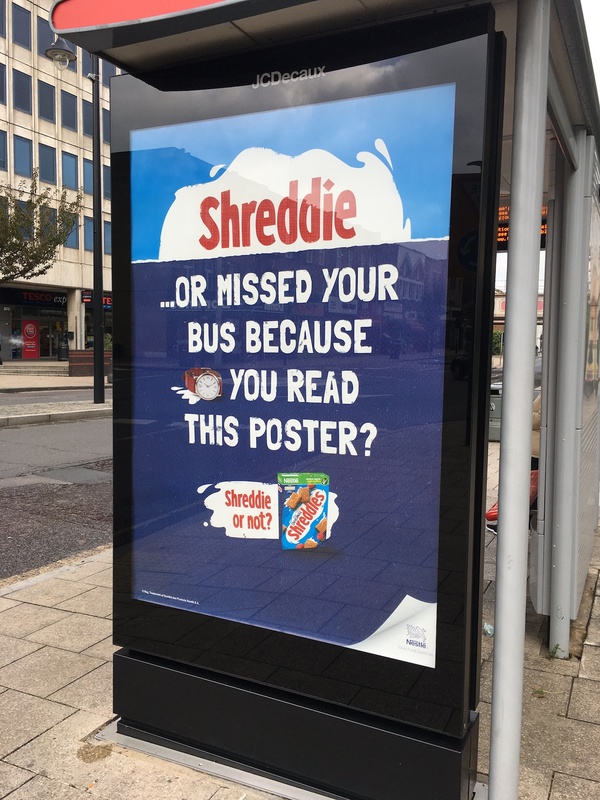 Similarly, if I was late for the bus because I was eating some other cereal (perhaps), I would not have been ready/Shreddie. 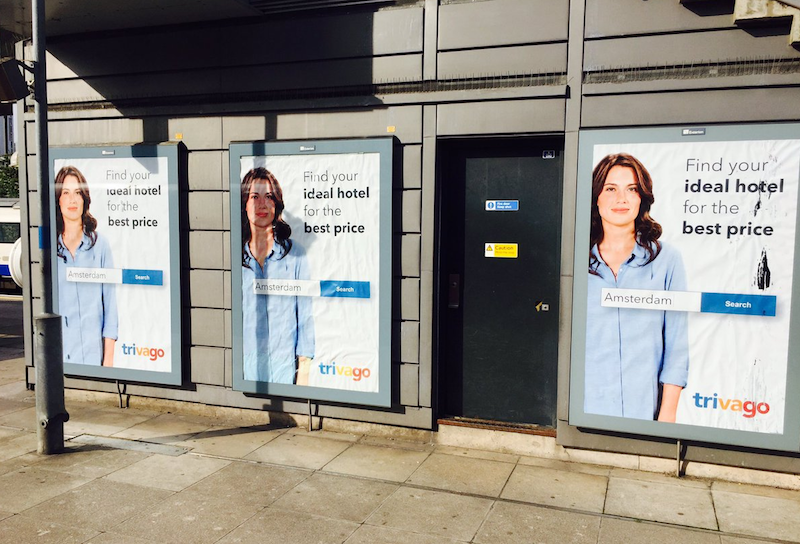 Missing the bus because you were staring at a poster, as you say, suggests implausible idiocy. Looking at the ads again, it seems ‘Shreddie’ doesn’t mean ‘ready’, but something more like ‘smart’. Shreddies make you clever; if you don’t eat them, you do stupid things. So in a way, they’re a sort of FMCG remix of the Economist ads, all of which said ‘Read the Economist or stay stupid’ in different ways. But not quite as good. Personally I think “Shreddie or not” fails at the most fundamental level – who eats a single Shreddie for breakfast?